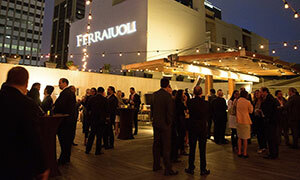 Ferraiuoli has, in a very short period of time, become one of the top firms in Puerto Rico. The reason why is clear. As a forward looking firm from the beginning, we consistently think outside the box and strive to be different. While we were conceived as an intellectual property and corporate law boutique, we have evolved into a top-notch, full-service firm. Since 2009, we have been consistently top-ranked by Chambers & Partners Latin America and are currently providing legal services to the United States and to the world. Our secret? Forward thinking vision, efficiency, precision and innovation. Our legal team is comprised of a group of pioneers and renowned practitioners who have joined Ferraiuoli from other law firms with an unrivaled passion for what they do. We partner with our clients to understand, from their perspective, the complex legal and business challenges they face. Our combined team has proved to be outstanding, not only for local businesses, but for clients worldwide. With a legal team of more than 90 professionals, we continue to be the only Puerto Rico based firm that has an exclusive, full service Intellectual Property department, representing a wide array of clients, from innovative start-ups to international corporations. But we have branched out from our original niche and offer state-of-the-art legal and business consulting services including Corporate and Real Estate, Taxes, Labor and Employment Law, Commercial Litigation, Environmental, Energy and Land Use, and Government Affairs practices, among others. But even as we grow we know that drive and resources alone are not enough to really succeed in a highly competitive world. So we strive to stay true to our original core values: innovation, dependability, commitment and responsibility. Simply put, we make ourselves available for our clients whenever, and for whatever they need, because these things are better left unchanged.